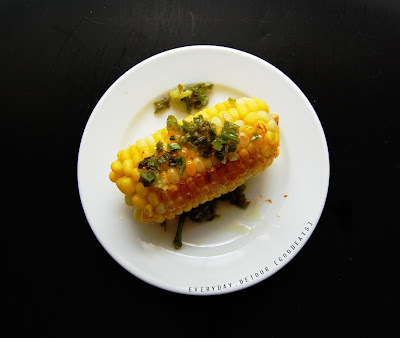 Sweet Corn with green onion spread! Heat up pan and add olive oil / butter. Saute green onions with a few dashes of salt. Simmer and serve within 5-7 mins.